A tour to Macao would not be complete without a trip to Taipa Village, situated on Taipa Island. This culturally authentic village gives travellers a real-feel of what Macao was like in the 20th century, and it captures the best of the rich heritage and cultural charm that Macao has to offer. The perfect alternative to Macao’s entertainment hubs and casino resorts and the Cotai Strip, Taipa Macao offers a diverse range of dining, shopping, heritage attractions and leisure activities that provide an ideal backdrop for soaking up the atmosphere of a lively destination. Joining the islands of Taipa and Coloane is the Cotai Strip, which is another not to be missed attraction when planning a trip to Taipa. Mirrored on Las Vegas’ Vegas Strip, there is something for everyone on the exciting Cotai Strip. Visit Macao is proud to showcase the authentic piece of Macao that is Taipa Village. What to do in Taipa Macao? The Old Taipa Village Macao is a historic part of Macao that offers a wide variety of cuisine options as well as colonial villas, churches and ancient temples to view. Many a traveller can be seen effortlessly strolling through traditional alleyways as they take in the sights and sounds of Macao Taipa (most likely snacking on a traditional Macanese-style Portuguese egg-tart, pork chop bun or an almond cookie). Taipa Village is well-known for its range of delicious eateries and restaurants in Taipa, Macao. 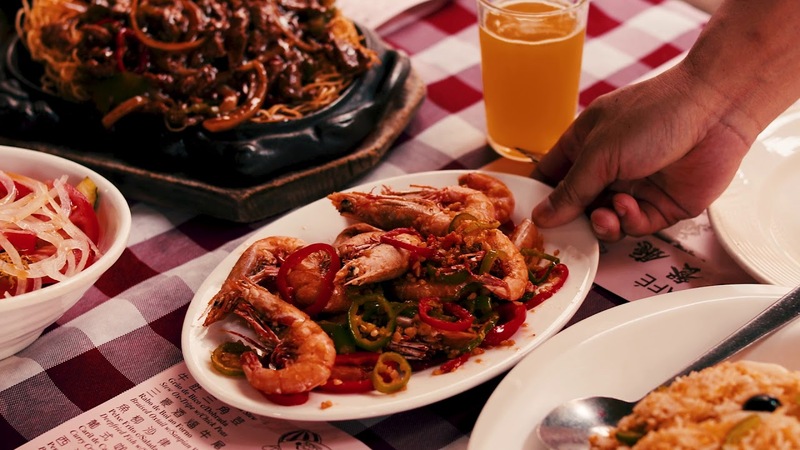 From local bakeries to traditional street food stalls, putting tempting and authentic Chinese fare alongside continental dishes inspired by Portuguese and Chinese culinary traditions is what Taipa Village is known for. When visiting the old village, every traveller should make a turn down the Rua da Cunha Taipa, Macao. This well-known main street allows travellers to sample delights from a selection of local eateries that offer snacks, irresistible cakes and pastries, and light bites. Macao has been given the title of a UNESCO Creative City of Gastronomy, and Taipa Village is certainly no exception to that. In the Old Taipa Village, you’ll be surrounded by colonial-style homes and buildings whilst you walk along the cobblestone walkways. You’ll feel like you are a million miles away from the bustling Macao city centre. The old village is a welcome respite especially for lovers of architecture and culture. When wondering what things to do in Taipa Village, Macao, one must plan a trip to see some of the ancient sites that exist for the intrepid traveller’s viewing pleasure. Our Lady of Carmel Church was built in 1885 and is an intricate display of architectural beauty alongside its exquisite gardens. The Taipa Houses Museum is a real-life, outdoor museum consisting of houses which have been restored to their original 1921 look and feel. A definite must see for any architecture-buff. For the art-lovers, a trip to the Taipa Village Art Space is an absolute must. The Art Space offers visitors the opportunity to escape the hustle and bustle of the city and savour the historic and cultural charm of Taipa itself, where an array of art from local and international artists can be viewed all year-round. For more detail on what to do in Taipa, read our Taipa points of interest feature. ​Experience Macao as you’ve never imagined it before. Visit Macao today, and let the adventure begin.